Currently a project is under way to develop an expanded museum to honor and preserve the contributions that this airport and the people who served here made towards the WWII effort. 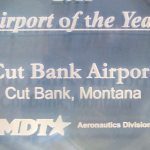 We are presently looking for any information, artifacts, photographs, contributions or anyone who can help us put together the history of the airport or the WWII Army Air Corps base. 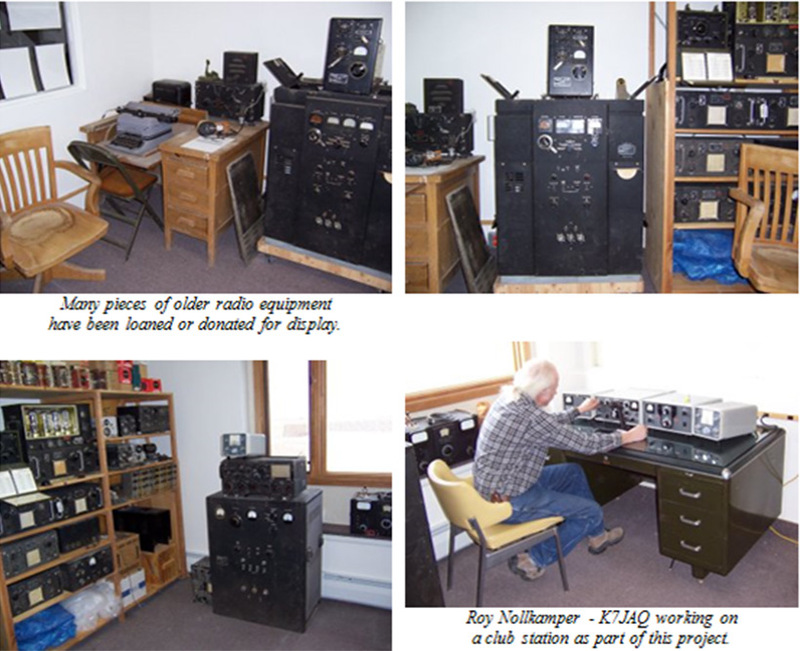 The Airmen’s Museum is a 501(c)( 3) not-for-profit organization. We encourage donations and can provide you with documentation for a tax benefit. *click on “Radar Sites” enter “681” in “Unit/Squadron” search form. 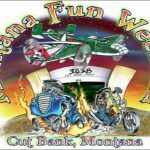 The Cut Bank Airmen’s Memorial Museum preserves the history of those who trained at the Cut Bank Army Airfield during WWII and honors those who have served in the United States Armed Forces past and present. We are registered as a 501 (C) (3) non-profit Organization. The Airmen’s Museum Group holds regularly scheduled meetings on the fourth Tuesday of each month except for November and December. These meetings are held at 7 pm at the airport and are open to anyone who would like to attend. 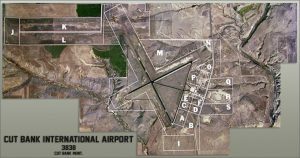 July 6th, 1942 the 2nd Air Force authorized the construction of the Great Falls Army Air Force Base in Montana along with three Satellite bases to be located at Cut Bank, Glasgow and Lewistown. Major John L. Eaton was assigned as the Base Commander over all the bases and for the most part remained at Great Falls. Each Satellite Base was assigned two permanent Staff Officers to oversee their installations. GFAAB was designated as the “352nd Base Squadron” and was policed by the “994th Guard Squadron.” Lt. Claude D. Stanley and Lt. Bruce B. Raymond were Cut Bank’s first Staff Officers. Major T. K. Meyers became Base Commander CBAAFB October 1942. 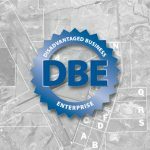 Basic plans for construction had been previously developed as many such projects were going on all over the United States. 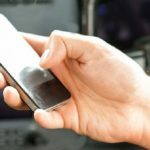 Just a few changes might be necessary to adapt to the different locations. Construction started in July of 1942 at all four locations. Captain G. C. Cooper with previous experience on such projects was put in charge of the construction. Due to his previous and very successful performance, he was authorized to make any changes to the original plans as he deemed necessary that would benefit or speed the project along and or to improve the conditions for the flight crew training that was soon to follow. Upon reviewing some of the original blueprints, it can be seen where such changed were made. The Cut Bank Army Air Force “Satellite” Base was located three miles southwest of town. The location was ideal as there was plenty of room for two large and long runways to accommodate the B-17’s. There was also plenty of room to construct the necessary facilities to house and maintain the needed base personnel and the flight squadrons that would be arriving shortly. The usual size of the squadrons was expected to be nine B-17’s, thirty seven officers and 229 enlisted men. Outside parking was provided for Twelve B-17’s and one would fit in the large hangar. The officers quarters were 100′ x 20′ and were to house 16 men. The enlisted mens barracks were also 100′ x 20′ but were to house 34 men, and in an emergency could be pushed up to 48. The water tower was 111′ including a 100,000 gallon storage tank. The contract for the tower and tank was awarded to J. Hugo Aronson “The Galloping Swede”, a local oilfield contractor who later went on to be governor of Montana. A rotating beacon was installed on top of the tank. Glacier Construction Company was awarded the contract to drill wells to provide 100 gallons per minute of water and to lay approximately 7,000 feet of six inch line to service the base. The sewer system for the base was awarded to Frank Haas. A work force of approximately 350 men was utilized to complete these parts of the project. The project proceeded very rapidly and by the end of October was nearing completion. Just minor details such as moving in furnishings were all that remained. A “Open House” for the public was authorized for three hours on Sunday November 1st. A second “Open House” was allowed on Armistice Day November 11, 1942 when the base was officially activated and declared ready for duty. By the end of November B-17’s and flight crews were arriving and training was underway. The 2nd Bombardment Group arrived in Montana on November 29th & 30th, 1942 with Col. Ford J. Lauer as the Group Commander. The 429th Bomb Squadron came to Cut Bank with Major Robert W. Neal as the Squadron Commander. The 2nd Bomb Group left Montana In March 1943 and arrived in North Africa April 1943. They flew 81 missions as part of the 12th Air Force, and then in December 1943 went to Italy and flew 331 missions with the 15th Air Force. 385th Bombardment Group came to Montana in April of 1943 with Col. Elliot Vandevanter as the Group Commander. The 550th Bomb Squadron came to Cut Bank with Capt. William M. Tesla as the Squadron Commander. 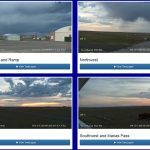 They left Montana in June and was based at Great Ashfield, UK. 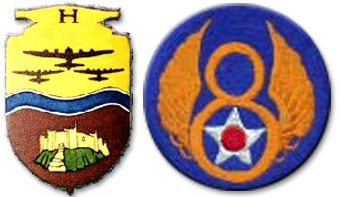 as part of the 8th Air Force. They were referred to as “Tesla’s Terrors”. 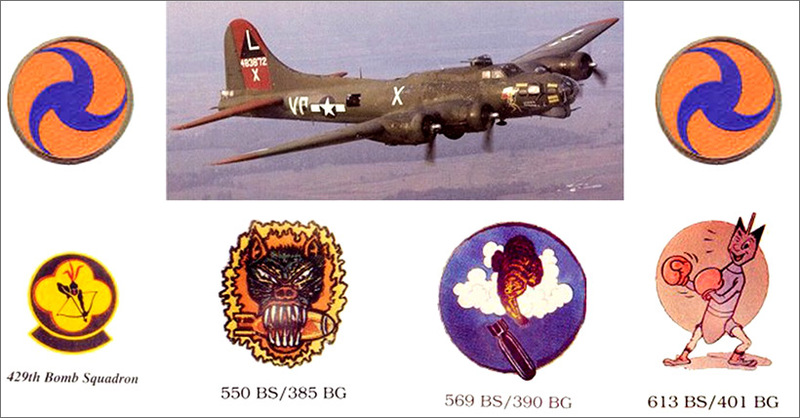 The 385th Bomb Group was inactivated August 1945. The 390th Bombardment Group came to Montana on June 6th of 1943 with Col. Edgar M. Wittan as the Group Commander. The 569th Bomb Squadron came to Cut Bank with Capt. Robert M. Tuttle as the Squadron Commander. The 390th left Montana on July 4th, 1943 and was based at Framlingham, UK. 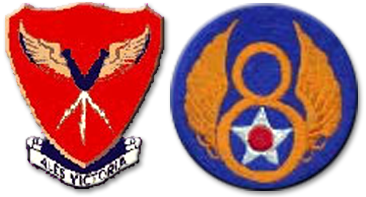 as part of the 8th Air Force. They flew 301 missions against the German forces dropping over 19,000 tons of bombs. 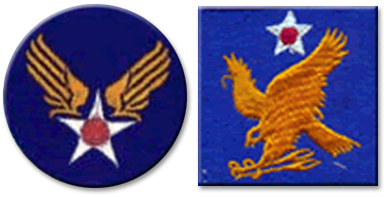 The 390th was inactivated in August of 1945. 401st Bombardment Group came to Montana in July of 1943 with Col. Harold W. Bowman as the Group Commander. The 613th Bomb Squadron came to Cut Bank with Major Edwin W. Brown as the Squadron Commander. On October 18th, 1943 The 401st Bomb Group left Montana and was based at Deenethorpe, UK. 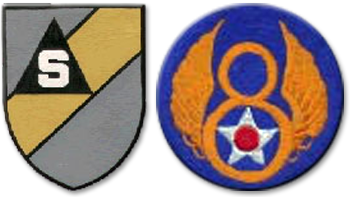 as part of the 8th Air Force. They completed 254 missions against the German forces. The 401st was inactivated August 1945. While in route to Deenethorpe thirty-four flight crews were transferred from the 401st into the 351st Bomb Group at Polebrook, England. We would like to thank the following people and organizations for their help in getting this program started. We also want to apologize to anyone who may have been accidentally omitted from this list.